Don't Step on a Rake, Use Rake::DSL — A look at how Rake, Ruby’s general purpose make-like task runner, operates and how to define tasks outside of the top-level scope using Rake::DSL. TruffleRuby Now Easily Installable via RVM, rbenv, and ruby-install — TruffleRuby is an alternative Ruby implementation built at Oracle Labs. Just tried rvm get head & rvm install truffleruby on my Mac and it worked a treat. 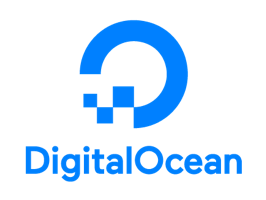 Know What’s Going On in Your Industry with DigitalOcean’s Currents — Not sure what serverless computing is? You’re not alone. Find out more in DigitalOcean’s Currents developer trends report. Ruby 2.6 Adds String#split with Block — When a block is supplied to split, no array is created or returned, and instead the results are yielded to the block one at a time. How to Replace wkhtmltopdf for PDF Generation from Ruby — wkhtmltopdf used to be a popular option for rendering HTML to PDF and may well be lurking as a dependency in your own apps, but it’s flawed, says this author, who presents lots of great modern alternatives. Find A Ruby Job Through Vettery — Vettery specializes in tech roles and is completely free for job seekers. Create your profile to get started. The Forwardable Module in Ruby — This post had a couple of examples of delegation that I hadn’t seen before. It’s the first in a two-part series, with the second article covering SingleForwardable. Thin and Maintainable Rails Mailers — The addition of parameterized mailers to Rails 5.1 can make your mailer code much cleaner. The Best Way for Busy Teams to Keep Their Dependencies Up-To-Date — We believe doing small, easy to assess updates regularly is a lot easier than updating everything at once. Everything You Need to Know About Ruby Operators — A comprehensive look at Ruby operators that shows which operators are methods, what unary operators exist, the splat, the ‘shovel’, and more. ▶ Evented Autonomous Services in Ruby — This great talk from GORUCO 2018 is much more on the architecture and patterns of evented, autonomous services irrespective of language. Running Rails Tests Under CircleCI 2.0 with MariaDB — Quite niche, but if you need to do it..
How to Write a Case Expression in Ruby — The case statement seems simple on the surface, but understanding exactly what it does can bring many options to your code. ▶ Your First Contribution to Rails (and Beyond) — How to find an interesting issue to work on, set up your environment, and ask for help when you get stuck. SmartEnum: Enums for Ruby That Aren't Just Symbols — With this, your enums can have associated values and methods. Pragmatic Segmenter: Rule-Based Sentence Boundary Detection — Supports many languages out of the box. Live demo here. Easy GraphQL Caching with GraphQL Cache — Caching is a gap in the current Ruby/Rails GraphQL landscape, so StackShare fixed the gap. GitHub repo.